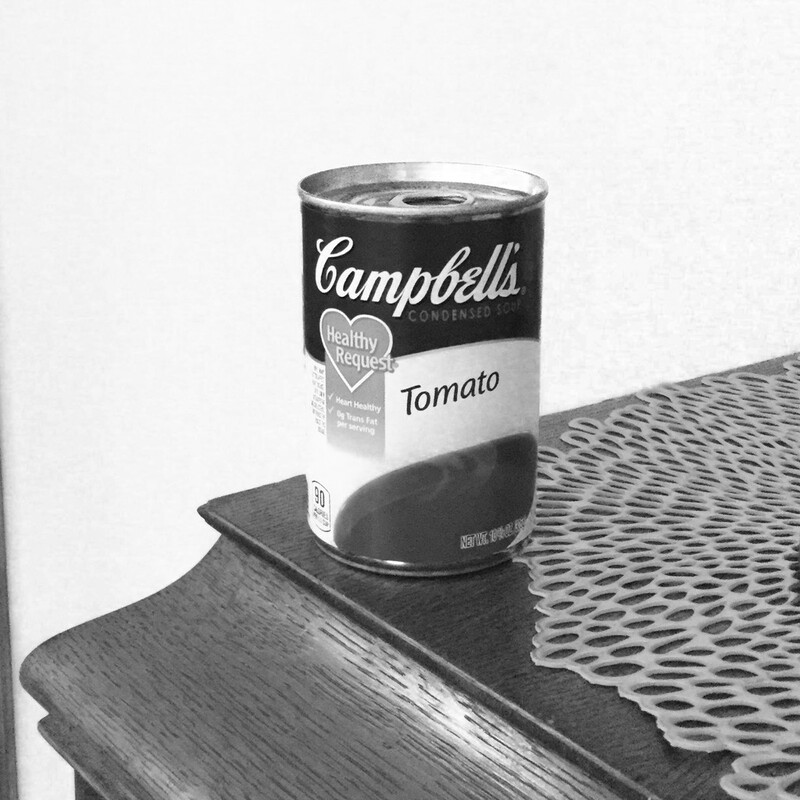 The soup can is out of place, and knows it. But the plain wall in the background appealed to us both. The white background does define the shape.